Finally, the villages of Lockerley and East Dean can have their own playground! The villages of Lockerley and East Dean near Romsey have always had a large population of families with children of all ages, and yet they have never had an area of their own where children and parents can get together to play and socialise. 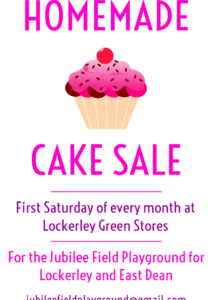 We are pleased to announce that thanks to a very generous gift of land in Lockerley, we can now launch the exciting project of raising funds to build the Jubilee Field Playground for Lockerley and East Dean! This page is for news and announcements about this project. After a parcel of land was gifted to Lockerley Parish Council it was agreed the ideal use for it would be as a playground for the children of Lockerley and East Dean who currently do not have their own play space. Since then the Lockerley and East Dean Playground Community have been working hard to raise the necessary funds. The good news is that so far they have raised £59,600 through grants, donations and fundraisers with £16,000 just since October (which includes £10,000 from the National Lottery Community Fund, £300 from Waitrose Leckford, and proceeds from the monthly cake sale, a Christmas concert and selling Christmas cards)! However, new quotes for groundworks on the land have come in much higher than expected, and mean even more money is now needed than originally thought – with the groundwork now estimated to cost £50,000 the playground committee will need to raise a further £40,000 to buy the necessary equipment. 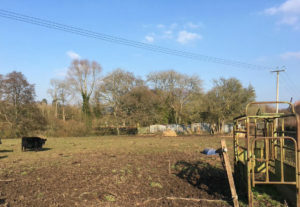 “Unfortunately the nature of the plot means greater costs for levelling and fencing, which means we aren't quite as close to completion as we had hoped! However, we have raised over £50,000 in the last year and we plan to keep going with the same force and determination so we can hopefully have it ready in 2020!” said Anna Standen. The Lockerley and East Dean Playground Committee will be announcing their fundraising programme for 2019 in April. The team now run a regular cake sale to add to the funds......dont forget - first Saturday of every month! To make a donation please visit our Just Giving page.